August 2, 1832, Orange, N.J., 11:15 AM, LMT. 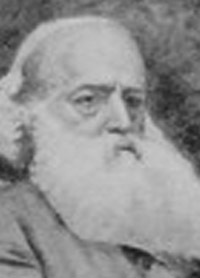 (Source: Sabian Symbols) Died, February 17, 1907, Adyar, Madras, India. Born just one year earlier than H.P. Blavatsky (another powerful individual with the Sun in Leo) , he became her closest co-worker, and co-founder of the Theosophical Society. A recent book named him a “Yankee Beacon of Buddhist Light” which can be seen from the Venus/Sun conjunction in Leo—a sign characterized by the “Will-to-Illumine”. A man of strength and power himself (Leo Sun in H10, Moon in Scorpio opposed to Mars), his great task was to sustain his partnership with H.P.B. (often under very difficult personal circumstances because of her temperament). The power of Libra would must have been useful in this difficult task. H.P.B.’s Moon and Venus were conjunct in Libra, and Olcott’s Venus in Leo was within six degrees of H.P.B.’s 18º Leo Sun. In addition to his obvious first ray, one suspects as well the importance of the second ray, along the wisdom line. ...[p. 168-69 'to be a regular Buddhist is one thing, and to be a debased modern Buddhist sectarian quite another. Speaking for her [H.P. Blavatsky] as well as myself , I can say that if Buddhism contained a single dogma that we were compelled to accept, we would not have taken the pansil nor remained Buddhists ten minutes. Our Buddhism was that of the Master-Adept Gautama Buddha, which was identically the Wisdom Religion of the Aryan Upanishads, and the soul of all the ancient world-faiths. Our Buddhism was, in a word, a philosophy, not a creed. Of the writing of Madame Blavatsky’s Isis Unveiled, let us see what reminiscences memory can bring out of the darkroom where her imperishable negatives are kept. If any book could ever have been said to make an epoch, this one could. Its effects have been as important in one way as those of Darwin’s first great work have been in another: both were tidal waves in modern thought, and each tended to sweep away theological crudities and replace the belief in miracle with the belief in natural law. Yet nothing could have been more commonplace and unostentatious than the begin- Henry Steel Olcott ning of Isis. One day in the summer of 1875, HPB showed me some sheets of manuscript that she had written, and said: “I wrote this last night ‘by order,’ but what the deuce it is to be I don’t know. Perhaps it is for a newspaper article, perhaps for a book, perhaps for nothing. Anyhow, I did as I was ordered.” And she put it away in a drawer and nothing more was said about it for some time. But in the month of September—if my memory serves—she went to Syracuse (N.Y.), on a visit to her new friends, Professor and Mrs. Corson of Cornell University, and the work went on. She wrote me that it was to be a book on the history and philosophy of the Eastern Schools and their relations with those of our own times. She said she was writing about things she had never studied and making quotations from books she had never read in all her life. To test her accuracy, Prof. Corson had compared her quotations with classical works in the University Library and had found her to be right. The Theosophical Society in America2Upon her return to town, she was not very industrious in this affair, but wrote only spasmodically, and the same may be said as to the epoch of her Philadelphia residence. But a month or two after the formation of the Theosophical Society, she and I took two suites of rooms at 433 West 34th St., she on the first and I on the second floor, and thenceforward the writing of Isis went on without break or interruption until its completion in the year 1877. In her whole life she had not done a tithe of such literary labor, yet I never knew even a managing daily journalist who could be compared with her for dogged endurance of tireless working capacity. From morning till night she would be at her desk, and it was seldom that either of us got to bed before 2 o’clock A.M. During the daytime I had my professional duties to attend to, but after an early dinner we would always settle down together to our big writing table and work, as if for dear life, until bodily fatigue would compel us to stop. What an experience! The education of an ordinary lifetime of reading and thinking was, for me, crowded and compressed into this period of less than two years. I did not merely serve her as an amanuensis or a proofreader, but she made me a collaborator. She caused me to utilize—it almost seemed—everything I had ever read or thought, and stimulated my brain to think out new problems that she put me in respect to occultism and metaphysics, which my education had not led me up to, and which I only came to grasp as my intuition developed under this forcing process. She worked on no fixed plan, but ideas came streaming through her mind like a perennial spring that is ever overflowing its brim. One minute she would be writing upon Brahma, the next minute upon Babinet’s electrical “meteor-cat.” One moment she would be reverentially quoting from Porphyrios, the next from a daily newspaper or some modern pamphlet that I had just brought home. She would be adoring the perfections of the ideal Adept, but diverge for an instant to thwack Professor Tyndall or some other pet aversion of hers, with her critical cudgel. Higgledy-piggledy it came, in a ceaseless rivulet, each paragraph complete in itself and capable of being excised without harm to its predecessor or successor. Even as it stands now, and after all its numerous re-castings, an examination of the wondrous book will show this to be the case. If she had no plan, despite all her knowledge, does not that go to prove that the work was not of her own conception; that she was but the channel through which The Theosophical Society in America3this tide of fresh, vital essence was being poured into the stagnant pool of modern spiritual thought? I caused it to be placed upon the platform, to the right of the cabinet door, and just in front of the chair in which Mr. Pritchard sits. Being denied the privilege of sitting there myself, in consequence, as I am told, of my being of so positive a nature as to affect and repel the spirits (in which particular neither Mr. Pritchard nor Mrs. Cleveland resemble me at all) I had to rely for my experiment upon the gentleman in question. Accordingly, I rehearsed the operation with him thoroughly, until he was able, in the dark, to quickly weigh a person stepping upon the platform and stopping there but a moment. I supplied him with parlor-matches, and after some last instructions waited the auspicious moment. When Honto came out she saluted us as usual, and then turned and scrutinized the strange machine with Indian-like hesitancy. I told her what was desired, and she then stepped boldly upon the proper spot, and bent forward to look at the movements of Mr. Pritchard, as his hand moved the poise along the beam. The balance being attained, as we could all plainly hear by the sound of the beam against the pad, she stepped off and passed into the cabinet. A match being struck, Mr. Pritchard read the scale at 138 pounds, which caused the audience no surprise, for, as the reader will observe, by reference to the several pictures of Honto that appear in this volume, she looks like a woman who would weigh from 135 to 145 pounds. But the counter-poise at the end of the beam appeared to me too thin for the l00-pound weight, and upon lighting a second match Mr. Pritchard found that it was only the 50-pound weight, and consequently that the squaw had only weighed 88 pounds. Honto now reappeared, and I asked her to make herself lighter. She again mounted the platform, and this time it was found that she weighed but 58 pounds. The experiment was repeated a third time, and her weight stood the same as before—58 pounds. The fourth time the reading of the beam showed 65 pounds. Thus, without any change of clothing, and all within the space of ten minutes, this spirit, who weighed at the beginning at least 50 pounds less than any mortal woman of her size and height should weigh, reduced her materiality to the extent of 30 pounds, and, after holding it there several minutes, increased it 7 pounds. Of course it would have been infinitely more satisfactory if I could have first peeped into the dark cabinet and then managed the scale myself, for in such case I would not have to report, as to a portion of the facts, upon hearsay testimony; and I leave to Mr. Crookes, Mr. Wallace, and other intelligent observers, more favorably conditioned than I, the task of following up this novel and suggestive inquiry. MR. PRITCHARD'S AFFIDAVIT. State of Vermont, County of Rutland, ss.—Edward V. Pritchard, of the City of Albany, State of New York, being duly sworn, deposes and says that on the evening of September 23rd instant, he attended a séance or circle at the house of the Eddy family, in the town of Chittenden, in the county and State aforesaid : that he was invited to occupy a chair on the platform in a room known as the "circleroom," where certain mysterious phenomena known as spirit materializations occurred ; that among other forms presenting themselves and identified by persons in the audience as the shapes of deceased friends and relatives, there appeared the figure of an Indian woman known as " Honto," who approached so close to deponent that he distinctly saw every feature of her countenance, and her entire body ; that he is well acquainted with William H. Eddy, and avers that the said " Honto " bore no resemblance whatever to him in any particular. And deponent further says, that a pair of platform scales being previously placed convenient to his reach, the said " Honto" stood thereupon four separate times for deponent to weigh her, and that, without having apparently changed her bulk:, or divested herself of any portion of her dress, she weighed respectively 88 pounds, 58 pounds, 58 pounds, and 65 pounds at the several weighings. And deponent further says that, having weighed the said William H. Eddy upon the same scales, he finds his weight to be 179 pounds. Again, he says in the same article : "The first requisite is to be sure of facts; then to ascertain conditions ; next, laws. Accuracy and knowledge of detail stand foremost among the great aims of modern scientific men. No observations are of much use to the student of science unless they are truthful and made under test conditions ; and here I find the great mass of spiritualistic evidence to fail. In a subject which, perhaps, more than any other, lends itself to trickery and deception, the precautions against fraud appear to have been, in most cases, totally insufficient, owing, it would seem, to an erroneous idea that to ask for such safe- guards was to imply a suspicion of the honesty of some one present." I quote these sensible words, not to help me in my investigations at this place, for my researches are completed, but to call the attention of other investigators in various other portions of the country who may happen to read these lines, to the true method which should guide their researches. The absolute ponderosity of a materialized spirit has at least been suggested by the weighing experiments at Chittenden, and it remains only for those who have access, say, to such compliant and intelligent spirits as Mr. Crookes' "Katie King," or Miss Showers' " Florence " and " Lenore," to make careful supplemental experiments, under test conditions, and thus solve one of the most important problems ever broached to the scientific world. "George Dix," the sailor-spirit, tried to enlighten me upon the subject, one evening. He said that man, in his earth-life, is nothing but a materialized spirit, a living entity encased in a covering of flesh. To keep himself and this case together, he must consume and assimilate tons of the material portions of animal and vegetable food. If he stops the process he becomes dematerialized, or uncased, in a very brief time. On the other hand, spirits can do in a moment what before death it took them years to accomplish—materialize a body to cover them. In the atmosphere they find ready for use, an inexhaustible supply of the same matter as that which exists in the animal and vegetable, only in a diffused and sublimated form; and by a supreme creative effort of the will they instantly collect the scattered particles into such shapes as they choose. 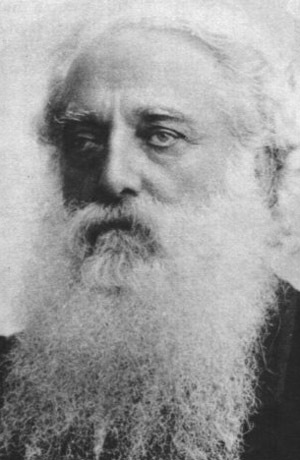 Henry Steel Olcott, (1832-1907), founder and first president of the Theosophical Society, is well-known as the first person of Western descent to make a formal conversion to Buddhism. His subsequent actions as president of the Theosophical Society helped Buddhism into a new renaissance. Henry Steel Olcott ( H S Olcott ) was born on August 2, 1832 in Orange, New Jersey the first of an eventual family of six children. In his later teens his University education had to be abandoned due to the failure of his father's business in 1851. Olcott then moved to live near some relatives in Ohio where he made a living farming awakening an interest in agriculture. His relatives encouraged Olcott's interest in the paranormal, including mesmerism (Hypnotism). Returning to the East Coast, Olcott studied agriculture to such effect that he became an educationalist and researcher in scientific agriculture. He was even retained by several publications as an agricultural correspondent. In 1860 Olcott married Mary Epplee Morgan, with whom he had four children. This marriage was unsuccessful, and by 1874 the couple were divorced. When the American Civil War broke out Olcott enlisted in the signal corps but his talents were such that he was after a time assigned duties as a Special Commissioner investigating fraud at the New York Mustering and Disbursement Office. Promoted to Colonel and seconded to the Navy Department in Washington, DC, he investigated fraud in the Navy Yards and received an high commendation for his work from the Secretary of the Navy. When President Abraham Lincoln was assassinated Olcott was sufficiently highly thought of as to be appointed to the three-man special commission to investigate the murder. Olcott resigned from the army in 1865 and returned to New York City to study law. In 1868 he was admitted to the New York Bar and became successful as a specialist in insurance, customs, and revenue cases. Once established as a lawyer, Olcott's interest in the occult revived. On reading in 1874 of spiritualistic phenomena at the Eddy Farmstead in Vermont, he determined to investigate for himself and obtained a journalistic assignment from the New York "Sun". 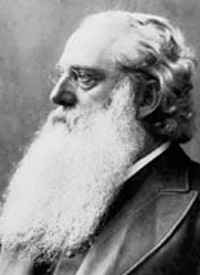 Olcott's series of articles stimulated great enthusiasm, and the New York "Daily Graphic" persuaded him to return for six weeks to write twelve more articles. These were reprinted all over the country, and investigators of phenomena in Europe and America praised his thorough scientific methods. The year 1874 was a turning point in Olcott's life. Then aged forty-two he met H. P. Blavatsky in October during his second stay at the Eddy Farmstead, and they quickly became friends. By November 1875 the name Theosophical Society had been chosen for a philosophico-religious Society they intended to establish, Olcott was elected President and Blavatsky Corresponding Secretary. Olcott continued his law practice by day, helping Blavatsky with "Isis Unveiled" late into the night whenever they were not busy entertaining visitors. Olcott and Blavatsky prepared to go to India, leaving in December 1878. They moved the headquarters of the Theosophical Society to Adyar in Madras (now Chennai), India. Unfortunately, from the mid-1880s until Blavatsky's death in 1891, Olcott began to distrust his fellow-founder and, increasingly, had trouble forgiving her explosive temperament and frequent criticisms. Matters were not helped by the "Coulomb attack" where Madame Blavatsky was accused by some Theosophical Society employees of fraud and only eventually exonerated. In the wake of the stresses associated with the fraud charges Madame Blavatsky resigned as Corresponding Secretary and left for Europe in March 1885 to regain her health and write "The Secret Doctrine". Olcott continued to work in Asia believing that "the proper work of the Founders of the Society is rather that of organization than research". Unfortunately, his decisions in running the Society seemed to result in a "machine-like organization" that was found to be off-putting by some Eastern Masters of religious philosophy who had been nurturing and advising the Theosophical Society in India. Therefore Blavatsky, having recovered her health sufficiently, began again to take a more active role in the Society, revitalizing and leading the European work and organizing the Esoteric Section, in association with William Quan Judge, but under her direct control. Olcott did not understand the need for this renewed involvement by Madame Blavatsky and was hostile to many of her moves. He was also increasingly disturbed by the high standing and veneration given to Blavatsky and her work by the Eastern Masters. After Blavatsky's death, Olcott (President-Founder), William Q. Judge (Vice-President and co-head of the Esoteric Section), and Annie Besant (President of the Blavatsky Lodge, London, and co-head of the Esoteric Section) were the leading officials. Long-standing personal and policy tensions between Olcott and Judge (similar but far greater than those between Olcott and Blavatsky) magnified the conflicts that eventually split the Society in 1895. After the division, Olcott continued his theosophical work with Annie Besant, traveling widely, lecturing and establishing new Branches, until he injured his leg on shipboard in Europe in late 1906. He returned to Adyar, where he died of heart disease on February 17, 1907. 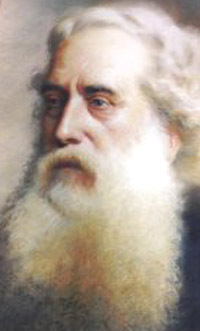 Henry Steel Olcott, President-Founder of the Theosophical Society, died 90 years ago this month. 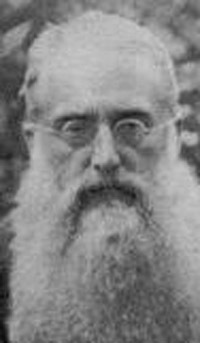 A selfless humanitarian, skillful organizer and administrator, and dedicated servant of his and H. P. Blavatsky's teachers for over thirty years, Olcott brought The Theosophical Society into existence as an organization through his determination and resourcefulness. Before meeting Blavatsky at the age of 42, Olcott had led an eventful life. The eldest of six children, he was born on August 2, 1832 in Orange, New Jersey. In his teens he attended the College of the City of New York and Columbia University until his father's business failed in 1851. Olcott then moved near his uncles in Ohio, where he farmed for shares for two years, which awakened his interest in agriculture. His uncles encouraged his interest in the paranormal, including mesmerism, in which he found he had some ability. Returning to the East Coast, Olcott studied agriculture and was recognized for his work at the Model Farm of Scientific Agriculture at Newark, New Jersey. Soon he co-founded a farm school in Mt. Vernon, New York, which pioneered modern methods of teaching agriculture in the US. He became an expert on sorgho and imphee crops, writing a well-received book on the subject (1858), and also did agricultural research in Europe. The Mark Lane Express and New York Tribune both retained him as agricultural correspondent. In 1860, when Virginia authorities forbade any Northerner from witnessing the hanging of John Brown, Olcott volunteered to witness the event incognito for his New York paper, and succeeded. In 1860 Olcott married Mary Epplee Morgan, with whom he had four children, the youngest two dying in infancy. The marriage was unsuccessful, and by 1874 he had granted his wife a divorce. When the Civil War broke out, Olcott enlisted in the signal corps and went through the North Carolina campaign under General Burnside. After recovering from dysentery, he served for four years as Special Commissioner of the War Department, investigating fraud, corruption, and graft at the New York Mustering and Disbursement Office. Because of his integrity, courage, and effectiveness, he was made a Colonel and then assigned to the Navy Department in Washington, DC, to investigate fraud in the Navy Yards, where he reformed the system of accounts and effectively reduced corruption. He received high commendation for his work from the Secretary of the Navy. When Lincoln was assassinated, Olcott was appointed to the three-man special commission to investigate the murder. After resigning his commission in 1865, he returned to New York City to study law. In 1868 he was admitted to the New York Bar and became successful as a specialist in insurance, customs, and revenue cases. Once established, his interest in experimental psychology and the occult revived. On reading in 1874 of spiritualistic phenomena at the Eddy Farmstead in Vermont, he determined to investigate for himself and obtained an assignment from the New York Sun. This series of articles stimulated great enthusiasm, and the New York Daily Graphic persuaded him to return for six weeks to write twelve more articles. These were reprinted all over the country, and investigators of phenomena in Europe and America praised his thorough scientific methods. Both series of articles formed the basis of People from the Other World, published in 1875. On returning from Vermont, Olcott continued his spiritualistic investigations and his friendship with Blavatsky. She introduced him to her teachers, adepts of occult spiritual philosophy. In May 1875 he received his first letter from one of the Masters and became a neophyte in the Brotherhood of Luxor; Blavatsky was given the task of teaching him. In June, a great psycho-physiological change took place in Blavatsky, and Olcott was transferred to the Indian section of the Brotherhood. After a year the Society had not grown, and all administrative power was placed in the President-Founder, who also supported it financially. Olcott continued his law practice by day, helping Blavatsky with Isis Unveiled late into the night whenever they were not busy entertaining visitors. He was undergoing a period of training and discipline. When Isis was published (1877), Olcott and Blavatsky prepared to go to India, leaving in December 1878. Olcott was anxious to visit the homeland of his guru and of the philosophy he revered, and he idealized both the land and its people. On arriving in India, he soon recognized its problems, but it always remained his spiritual homeland and permanent residence through a life of extensive travel. Olcott's primary objectives in India were to disseminate Asian philosophy to the West by encouraging accurate translations of texts by native scholars and to revive Oriental spiritual traditions -- principally Hinduism, Buddhism, and Zoroastrianism -- suffering under the onslaught of Western materialistic education and Christian missionary propaganda as well as military, economic, and political subjugation. In his many lectures all over India, he pointed to the truth beneath literal interpretations and ritualism, and enjoined members of each religion to practice its ethics and make its core teachings a living force in their lives. 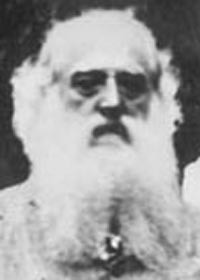 Olcott is best known for his work with Buddhists, particularly in Ceylon (Sri Lanka), and next to the Theosophical Society, this work was closest to his heart. He helped revive the practice of Buddhism, wrote a Buddhist Catechism still used today, and worked to bring the various branches of Buddhism into agreement on fundamental points so they could present a united front to the West. Not surprisingly, after about a year, Olcott was ordered by his teacher to stop magnetic healing, as he was becoming too depleted. At this time, in KH's words, "A fearful responsibility is cast upon Mr. Olcott; . . ." (ibid.). Olcott believed "the proper work of the Founders of the Society is rather that of organization than research," i.e., making philosophical and religious discoveries or policies. The former was his province, the latter Blavatsky's. He felt he had established the Society along the correct lines and tried to organize it in a way that would insure its continuance after the two Founders' deaths -- his great fear was that it would not outlast them. Unfortunately, his decisions in running the Society resulted in a machine-like organization unresponsive to the mahatmas, who by then referred to it as a "corpse." Therefore Blavatsky, having recovered her health sufficiently, began again to take a more active role in the Society, revitalizing and leading the European work and organizing the Esoteric Section under her direct control. Olcott did not understand the need for this -- indeed, if he had understood, there would not have been the need -- and he was hostile to many of her moves, seeing her as a disorganizing force and her teachings as an unacceptably sectarian factor. He did not believe the Society should promote any particular philosophy, but rather encourage people to search in existing traditions and within themselves. Nevertheless, under instructions from their teachers, he acquiesced to her policies, and worked cooperatively with her until her death.